Tim Wagner and Amy Douglas aka Sunrise HWY (formerly Sunrise Highway) make atmospheric, sophisticated, and broad music that signals a return to the song as king. 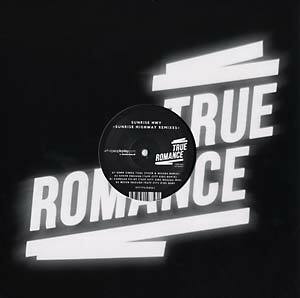 After the successful debut EP on True Romance in 2014 (TREP 005EP), this remix EP features two of the best remixers around: Italy's finest Tiger & Woods and Tuff City Kids from Germany. Larry Tiger & David Woods deliver a very hypnotic version of Sunrise HWY's "Some Kinda Fool" while Gerd Janson & Lauer aka Tuff City Kids offer their reinterpretations of "Never Enough" and "Compass Point," plus a dub of "Never Enough."